Through the documents in volume 8, Sir Martin Gilbert takes the reader on a fascinating journey from December 1916 to June 1919, covering a wide range of domestic and international fiascoes. Churchill’s vivid personality is evident as each controversy unfolds—traced through private letters and secret Cabinet records. 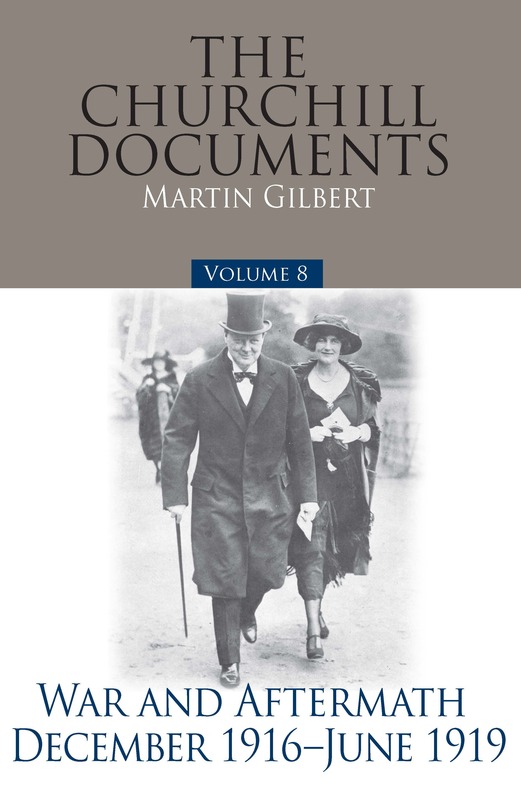 Sir Martin’s explanatory notes, never obtrusive, illuminate both the individuals and the events of two and a half dramatic years. For Churchill, the period was dominated first by the need to defeat Germany; then by the post-war settlement and the Allied intervention against the Bolsheviks in Russia; and by a growing personal awareness of the strong forces of disruption and chaos with which the early years of the twentieth century were being threatened. The many private letters published here show the range of Churchill’s moods and the extent of his fears. His wife Clementine is an ever-present influence.